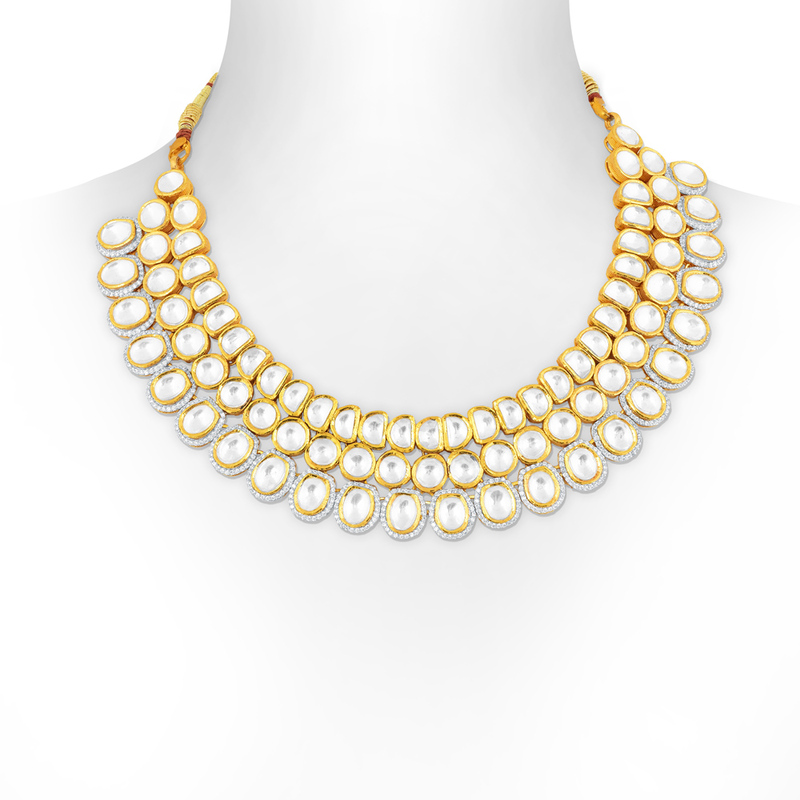 Glamorous Kundan Gold Necklace, made with 22KT gold is a classic kundan gold necklace with a gold weight of 68.00. It is beautified with the subtle simplicity itâ€™s got. The delicate patterns on the jewellery will surely bring out the subtle side of you. Add a simple yet sophisticated byline to your elegant fashion statement with this enticing necklace.